The Mini Mug from the Delfts Blond series is made of pottery. 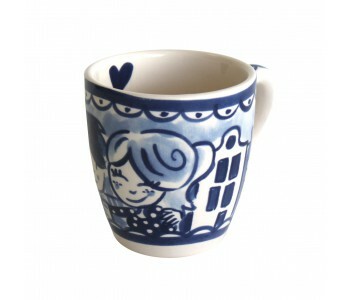 The mugs depict a blue image of a couple hugging. The background depicts typically Dutch images, such as canal houses. As a fun detail, the inside of this Delfts Blond mug has a painted Blond Amsterdam recognition label in the shape of a small, blue heart. Packed in a set of 4 mugs. The mugs are made of pottery. They depict an image a couple hugging against a backdrop of canal houses: a typical Dutch image. 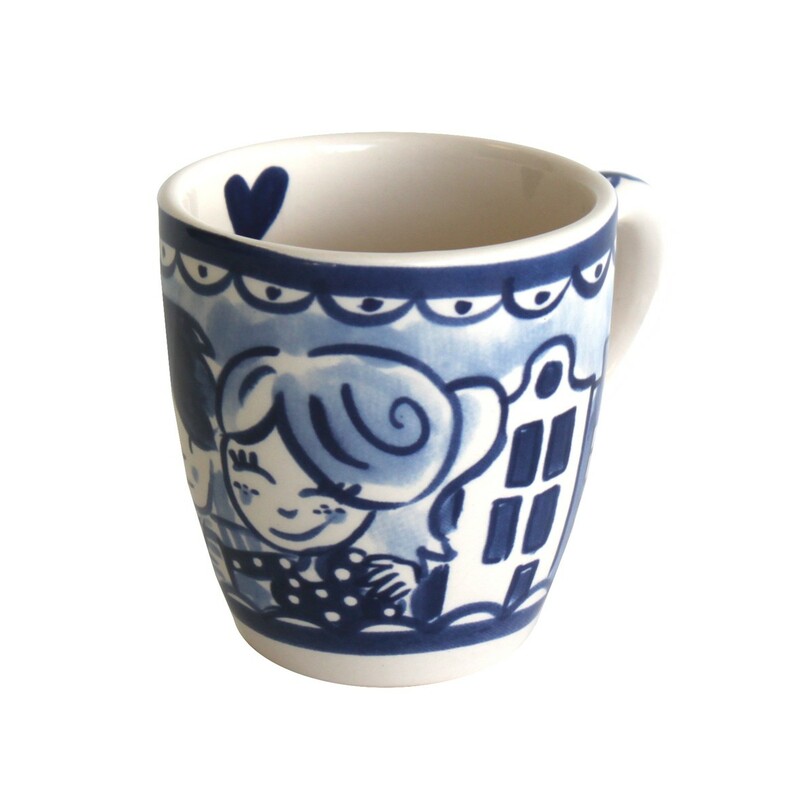 The mugs are 11 cm long, 8 cm high, and 8.5 cm wide As a fun detail, the inside of this Delfts Blond cup has a painted Blond Amsterdam recognition label in the shape of a small, blue heart. 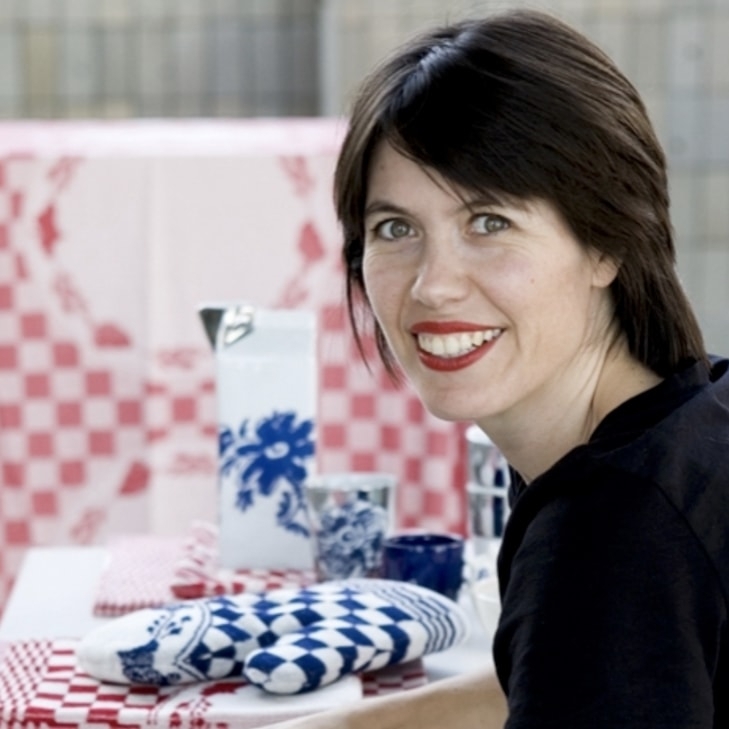 The small mugs from the Delfts Blond series can be easily combined with the cup and saucer, the mini mug, the teapot, and the sugar pot in the Blond Amsterdam series.